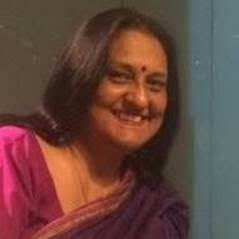 Abha Iyengar is an internationally published author, poet and British Council certified Creative Writing Facilitator. Her work has appeared in several anthologies, magazines and literary journals, both in print and online. She is a Kota Press Poetry Anthology contest winner. Her story, ‘The High Stool’ was nominated for the Story South Million Writers Award. She has won several literary contests. She is a member of The Poetry Society of India and Writing in India. She has contributed to popular anthologies like ‘The Simple Touch of Fate’, ‘Knit Lit Too’, ‘Chicken Soup for the Soul’ and The Indo-Australian Anthology of Short Fiction. Her work has appeared in literary journals like Gowanus Books, Tattoo Highway, Tryst3, Bewildering Stories, Enlightened Practice, The Asian Writer, Door Knobs and Body Paint, Citizen 32, Arabesques Review among others. She has written several screenplays. A movie based on a poem of hers, “Parwaaz,” has won a special jury prize at the film festival at Patras, Greece and has been screened to acclaim at various international film festivals. She has provided screenplay inputs for a Japanese film. The most marvelous stories of our lives are often hidden in the mundane. This collection of seven short stories is about the small-big things that make or break our lives — a gourd seller who heals an embittered woman with the lightness and warmth that he wraps in the vegetable, a girl brought to terms with the ugliness of beauty right in her family, a housekeeper who pays the price of sitting on the high stool, and many more. The writing is simple and strikes as poignant while bringing out what lies beneath the obvious details that make for seemingly ordinary lives. From the Ghalib library to shanties in Kanpur, it makes you travel not just out, but deep within. Some of the morbid endings are as moving, and these stories stay on. Today’s review is not a review in any sense. This is because I am just naïve to comment about an author so much experienced and skillful as Abha Iyengar Mam. She is a known name bagging numerous awards and accolades in her kitty. With this post, I just dare to share what all I felt on reading her stories and how did I interpret them. While drafting this post for the purpose of blogging under the light of Book promotion, I had tried my level best not to leak the storylines. Hope I was justified in my attempt and you all get intrigued to find it out first-handedly. Before, I present with my feelings; I wish to share that these are the collection of stories that have already been some other publications either as a submission for some award nomination or inclusion respective in publication issues. Though, author herself had shared all the info in this regard with the readers in her book itself but I found it worthwhile to include the respective credentials here, as well. Hope you do not get irritated with the repetitions. 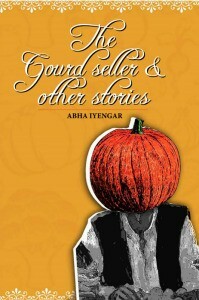 is a story revolving around the character of a gourd seller. Wonder what the story could be? Well, it is about how this gourd seller becomes an agent of change in a woman’s life! This story has a tinge a fear which urges to find out what happens to her under his influence. *: ‘The Gourd Seller’ was first published in A Rainbow Feast: New Asian Short Stories, Singapore:Marshal Cavendish International (Asia) Pte Ltd, August 2010, pp. 87-95.
is a very heart-touching story. We usually take our maids for granted at several instances in our daily routine but just one blow is enough to make us realize how they inseparable have they become. This story comes as a sad note where we learn what handsome price they are made to pay in order to earn a decent living; all at the employer’s disposal. A story elaborating the stark reality of the hypocrites! *: ‘The High Stool’ was first published online at Gowanus, Winter 2005. Nominated for the Story South MillionWriters Award, USA. Is a very high-end creative write up. I enjoyed reading it as if I was relishing some starry dish. The author attempts to dissect into the responses received to the protagonist for her dare. She is no damsel in distress and the way in which she propagates herself, will be welcomes by you all, as well. *: ‘Marked Territories’ was first published in Two is Company, Unisun Publications,December 2010, pp. 90-94. A MUST READ FROM THE COLLECTION. Is the author’s attempt to unveil the ugliness hidden beneath the skinned beauties. Is skin color that important for us? How do different people have different inferences for different skin hues. It will not be an exaggeration if I address it as a colorful story about the darkness (of humans). Next time, be extra cautious and alert while you are being pampered in the name of equality! *: ‘A Family of Beauties’ was first published in Ripples, India: APK Publishers,October 2010. Is a sensitive story. I had to read it twice in order to catch the essence. NO, it’s not that it is confusing; it’s that I got so engrossed while reading that I forgot to keep a track of what’s happening and why this title? And, when I understood, the scenario was clear and my thoughts clearer. With this story, you get the same message – stay clear in your thoughts and clearer in your actions! *: ‘Jagged Edges’ was first published online at riverbabble, Issue 7, Winter 2005. Is the ‘WOW’ factor of the collection. Why? I PLEAD you to please read this story. A very heart-melting and docile story of an avid reader who passes across timelines through the book pages flipping with every gust of wind blowing! This stands closest to my heart. I am sure there has been long time you having to read some folklore and smell the fragrance of Indian soil. Come as Abha Mam drenches you to the innermost core such that you feel you are falling short of tears! This is one of my favorites from the collection. *: ‘Drought Country’ was first published online in Bewildering Stories, Issue 385,May 2010.Winner of the Mariner Award, 2010. Is an interesting account of getting hold of superstitions. You will enjoy a hint of humor between the lines and confirm how we, sometimes forget to enjoy the present moment eclipsed with some nonsense worries driven by baseless superstitions! *: ‘Haircut Sunday’ was first published in Reading Hour, Jan-Feb 2011. As I conclude this post I wish to highlight the fact that all the stories are very lively, vivid, connecting and you feel closer to roots while reading. They impart a sense of belongingness. I experienced a different kind of emotion which is hard for me to express in words here. Sometimes, it is said that silence creates more stir than words; I guess, this is the moment for me! To read Abha Iyengar is to submit yourself to her hypnotic narration. The literary goddess that she is, she breathes motion to her characters, drawing you in as a solitary yet privileged taster of the slice of life that unfolds before you. Be prepared to be transported from your reading nook, and this time, to a street in Kanpur. The Gourd Seller starts with a ruckus that sets off the day’s routine and ends with a soundless thud in your heart. The narrative is an interesting weave of witticism and realism with just enough mythic fibers and folklory strands that give credence to rather than erode the substance of the story. The contrast between Reena and Shantabai is masterfully woven in dialogues that poke you into spasmodic laughter. The fate of the gourd seller is so unexpected that it makes you want to seize the pen, thrust it to the author and implore her to rewrite the ending. But that is the allure of Abha Iyengar, multi-awarded poet and writer. She takes you on a delightful ride then concludes her plot in a way that leaves you staggering or stupefied. You have to read The Gourd Seller to savor a flavorful “sabji” of India, this fragment of existence being lived elsewhere –so far yet so familiar in essence and struggle.